Servo2Go® sells a family of 2-phase hybrid type step motors with a 1.8° step angle in NEMA frame sizes from NEMA 8 to NEMA 42. Stepper motors from Servo2Go® are available in 4, 6 or 8 lead configurations for bipolar or unipolar operation. All motors can be wired in series or parallel, depending on the requirement. 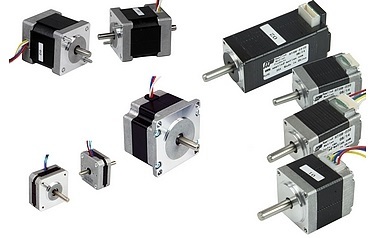 Motors are available with optional rear shaft extensions, encoders, brakes, cables, gearboxes and IP65 sealing.